We are coming to Dublin!! Come and join me in Dublin for 2 days of learning where we help you get the education, inspiration, and push forward to move your photography journey to the next level! 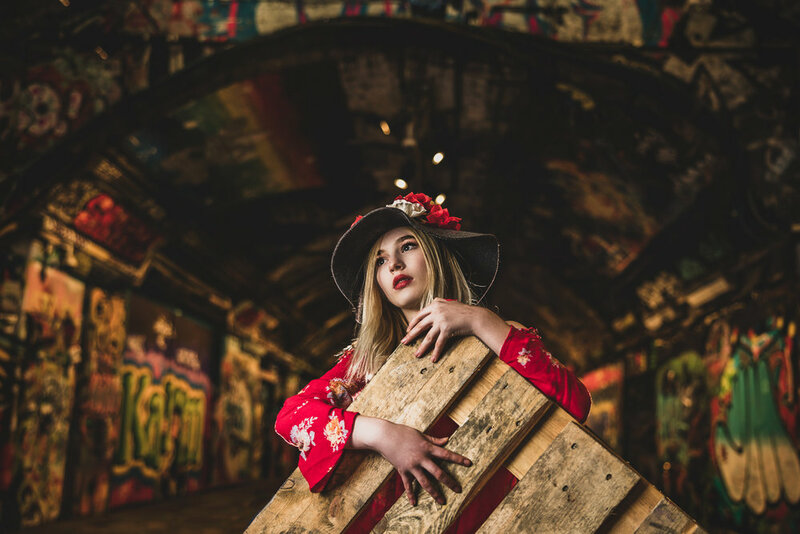 key areas of learning at the workshop include posing, lighting, COMPOSITION AND LEARNING WHERE TO SHOOT YOUR SUBJECTS TO GET THE BEST RESULTS. click below to register now! *Tuition Cost: $1,199- Early Birds get in for only $999! *Necessary Gear: All attendees should have a DSLR or Mirrorless camera. Camera brand doesn’t matter. Lights or advanced lenses are not required. You will have access to lighting equipment at the workshop. *Group Size: between 8-12 people. We like to keep the group sizes small to allow for a better learning environment where every attendee can get individual training from Jason. *What’s Included? Tuition, all ground transportation during the workshop for anyone who needs it. What’s Not Included? Hotel Accommodations, Airfare (if needed), and meals are the responsibility of the workshop attendee. REAL World Shooting Conditions: something that has set Jason’s workshops apart from other photography workshops is his push to provide scenarios as you’ll experience them in the real world as a photographer. This isn’t a workshop where we hand you a transmitter and flash and set everything up for you. This is a workshop where we teach you how to do it for yourself. 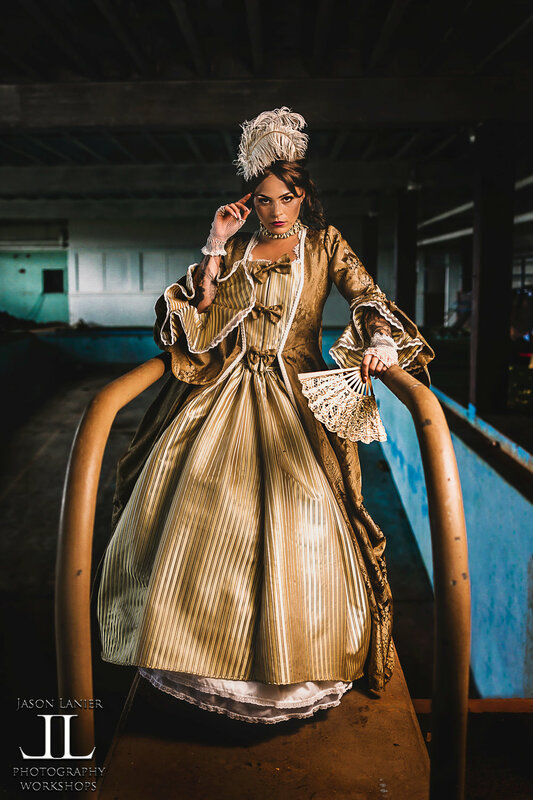 This is a course that will push you to CREATE your own results where each attendee has dedicated personal time to shoot the models where they are the only ones posing and directing the model. It’s about making you BETTER for reals. 1 on 1 Critiques: Each Attendee will have dedicated personal time with Jason to be able to review their images and ask him any questions they have to further their progress. The critiques have been one of the favorite parts of the workshop for attendees as they get to ask anything they want and get honest and constructive feedback on their work so they know where they need to improve and get crucial tips on how to succeed. Lighting: Photography is defined as “Painting with Light.” In a world that’s full of aspiring photographers the BIGGEST differentiating factor in setting yourself out from the industry is LIGHTING. In this course we review when and how to use natural light and even more importantly, when and how to use artificial light. 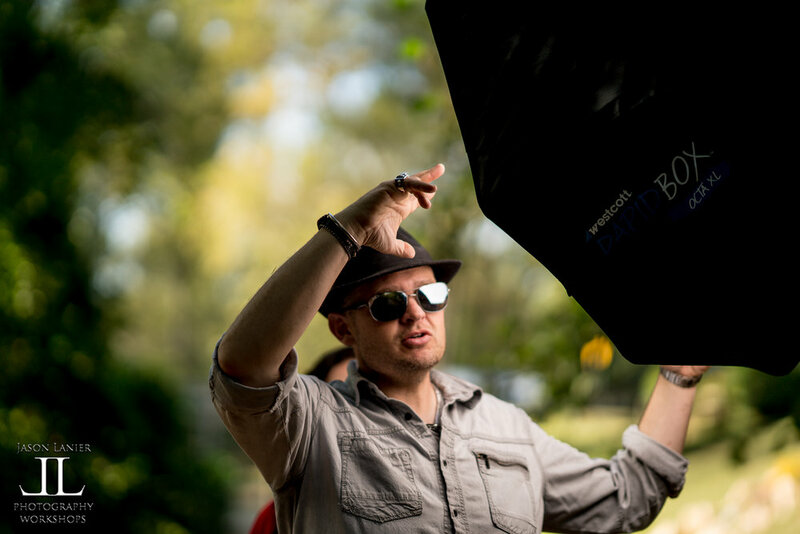 Lighting instruction includes High Speed Sync flash, off camera flash, modifiers for strove/flash, LED cinematic lighting for stills and video, reflectors, diffusers and more. This is a very hands on course about lighting designed to take your skills above the competition. Posing: one of the most difficult things for photographers out there is the art of posing and making the human form flattering. As a photographer your primary role is to make your clients look the best they can look and do so quickly. Jason’s approach to posing is very straightforward that teaches anyone how to pose their subjects in a systematic way that guarantees results. Learn how to pose in a quick, effective and beautiful body flattering manner that will take your work to the next level. Communication: One of the most common attributes that all successful photographers have is the ability to effectively communicate and connect with their subjects. This is something that’s difficult for a lot of people to do well. In this workshop Jason demonstrates and teaches how he uses communication to create amazing results. Each attendee is given solo opportunities to work on how they speak with their subjects, helping them overcome issues of being shy, hesitant, or maybe even a little over zealous. This is about the art of connecting with people and it’s something we can help everyone do better.